Hywel did a session with us on our teacher training about creating awe and wonder in the classroom! The session was amazing, it summed up everything I wanted teaching to be, fun, engaging, relevant...A few months into teaching and I had started to forget all of this. The need for lesson plans, and the drive towards assessment dates had me in a panic. Over Christmas I got all my work finished, folders complete and handed in, and decided to give this book a try.It's a reminder of everything fun that should be obvious! Inspired me to try to be more B.R.A.V.E in my future lessons.Give it a read it's worth it! Packed full of great ideas and anecdotes, which empower the teachers who know what they are doing to embrace their maverickness and teach kids in the ways that interest them and make them learn. It doesn't so much tell you how to teach better, but reminds you how. Written by a teacher for teachers, in a great style that assumes you already know what you are doing and treats its readers with respect. 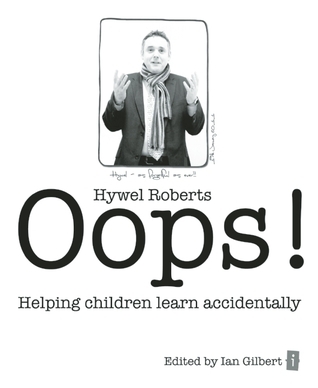 Having seen Hywel speak, I must encourage you (insist that you) do everything you can to see him yourself. He is inspirational and, with his explanations and demonstrations, turns this into a five star book. Full of content; practicality and pedagogy. Taken me so long as I wanted to take it in rather than 'gorging' on it and not being able to digest it. This book has had a dramatic impact on my teaching, not because it's changed what I do, but because it has validated what I choose to do - put my children's enjoyment of learning as a priority. Fab bits of inspiration after the school break. fab book. Chock full of great ideas.